Charlie Brown, Lucy, Linus, Peppermint Patty, Schroeder, Snoopy, and Woodstock – hard to forget the much beloved characters from the Peanuts© gang who appeared in the iconic and influential comic strip created by Charles M. Schulz. In addition to the 50 years of newspaper success, the comic strip came to life in classic movies adored by generations, such as “It’s the Great Pumpkin, Charlie Brown” and “A Charlie Brown Christmas”. The adorable characters of Peanuts® have become part of the American culture and continue to make a mark in the art and movie world. 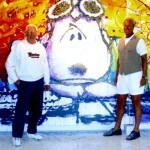 Tom Everhart (right) is the only fine artist to be educated by Schulz in his work and also entrusted to create Peanut’s© artwork under his direction. 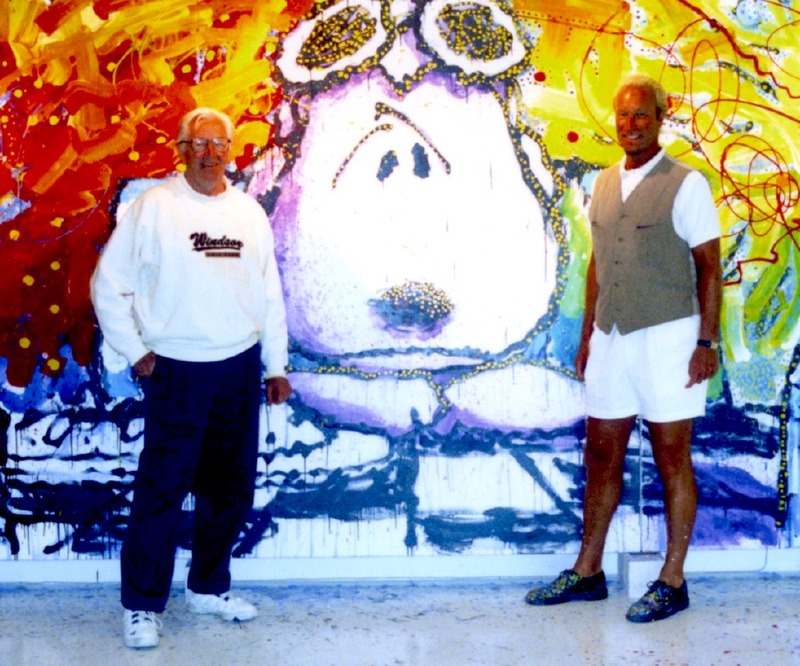 The popularity of the Peanuts© gang is one of the reasons that the recent exhibit at Ocean Galleries featuring “The Art of Tom Everhart” resonated with so many people and received rave reviews. Best known for his visual subject matter inspired by legendary Peanuts© creator Charles M. Schulz, Tom has created a contemporary version of the Peanuts© gang expressed in his vibrant and psychedelic artwork. He is the only fine artist to be educated by Schulz in his work and also entrusted to create Peanut’s© artwork under his direction. Everhart had such a powerful relationship with Schulz, that he was brought in before the making of the upcoming Peanuts© movie by Blue Sky Studios in New York to share his knowledge of Schulz’s line art with the full creative team. Here’s a sneak peak of the 3D computer-animated comedy film, which hits theaters November 6.